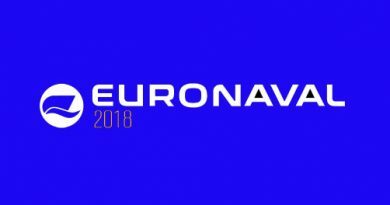 The 25th Euronaval exhibition closed its doors last Friday 21st October in Paris-Le Bourget with very positive results for all those involved in the naval sector; industrialists, delegations, international organisation, visitors and journalists. 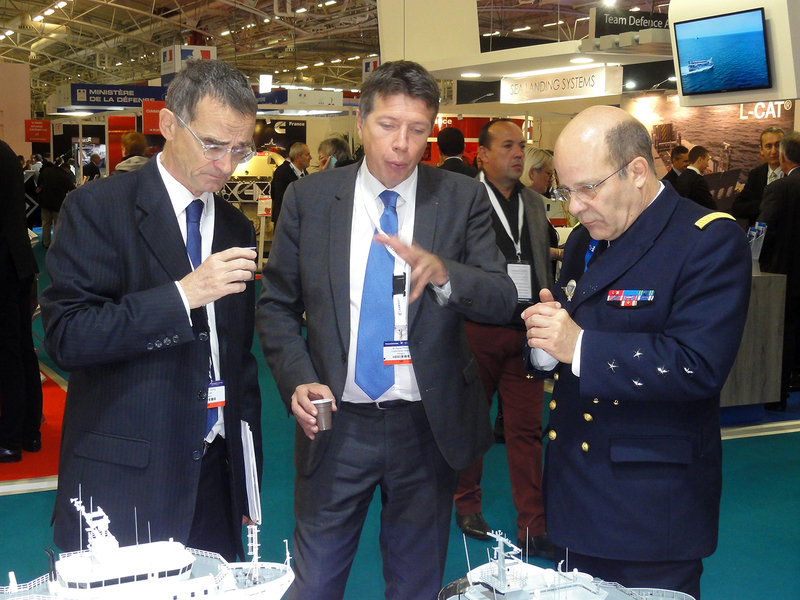 Created in 1968 under General de Gaulle’s last presidential tenure, this biennial event continues to confirm its position as the outmost world leader of naval defence exhibitions, with again this year a particularly promising offer, singularly for the French naval industry and its numerous partners, in Italy, the Netherlands, and the United Kingdom. 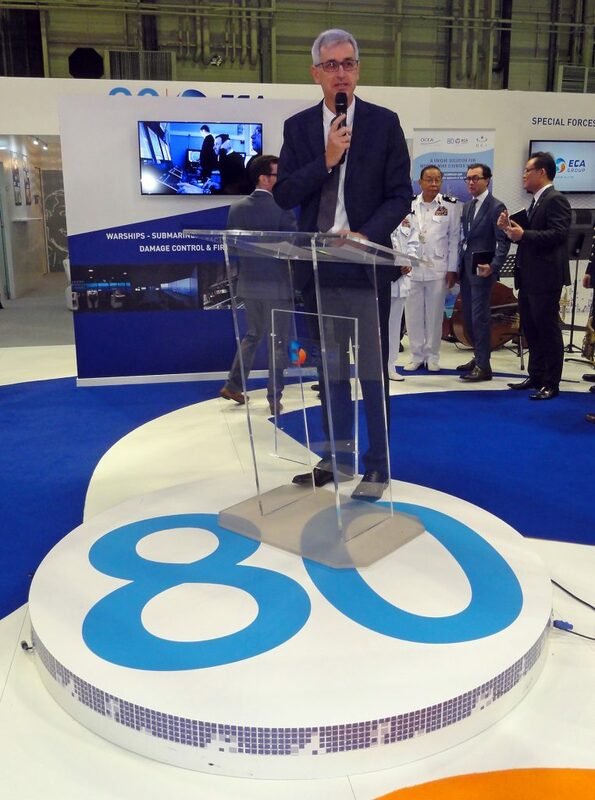 Coming as a special announcement by the French Minister of Defence on Tuesday 18th October, on the Ministère de la Défense stand, Jean-Yves Le Drian in person chose Euronaval to reveal the first scale model of the future intermediate-size frigates (FTI) — the 4,000-ton Belharra (after the name of a famous Basque shoal off Saint-Jean-de-Luz in France. Due to equip the Marine Nationale during this coming next decade, the FTI programme will provide a replacement for the La Fayette-class frigates. This project was decided upon in mid-2015 on the occasion of the legislation update for military programming. The objective is ambitious, as the delivery of the first frigate is set for 2023. With a tonnage of exactly 4,200 tonnes, the FTI will be implemented by a crew of 125 staff. 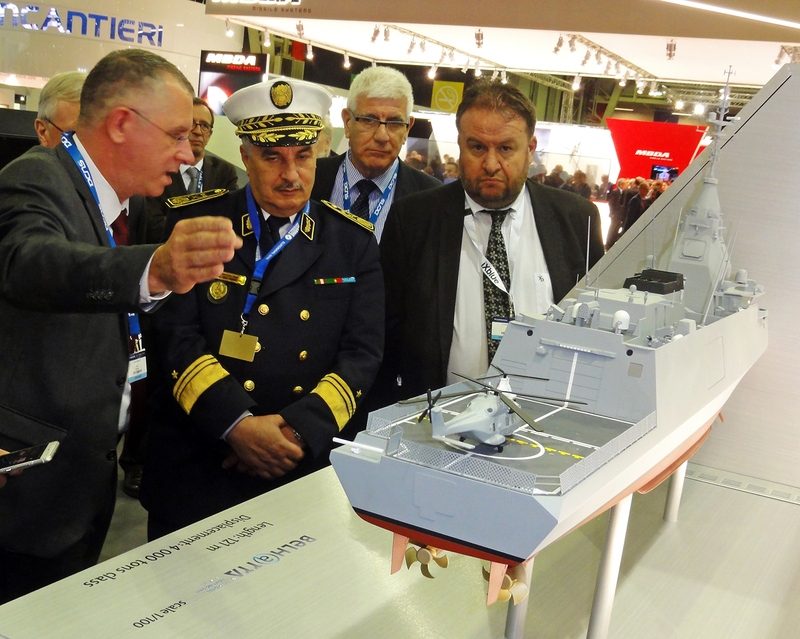 For 2030, these 5 new first-line frigates will complement the French Navy’s main order of battle comprising 8 multimission Aquitaine-class frigates (FREMM) and the 2 Horizon-type Forbin-class air defence destroyers. On Thursday 20th October, duirng a common press conference, Laurent Collet-Billon, délégué général pour l’armement and his UK counterpart Harriett Baldwin, officially launched the common Maritime Mine Counter Measures project aiming at providing the two countries with a new strategic anti-mine tool. Relying mostly on advanced over-water and under-water drones, the MMCM will give life to a pair of identical prototypes due for delivery in 2019. One for the Royal Navy, and one for the Marine Nationale. 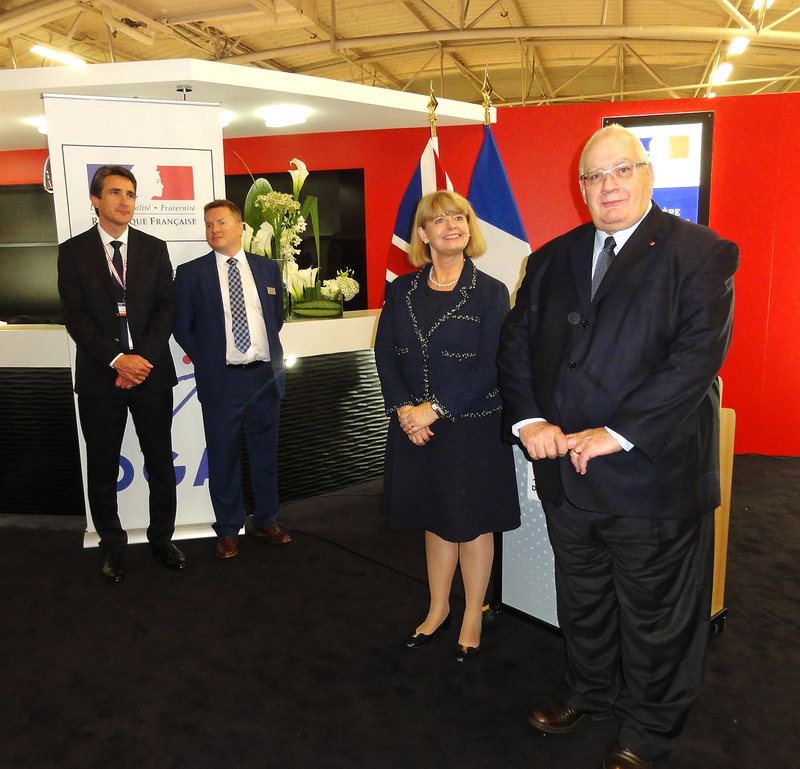 Run by a UK-French consortium led by Thales Underwater Systems (under OCCAr control), it will rally Thales, BAE Systems, ECA and ASV, and provide much robotic innovations in fighting mines. “Some 300,000 active mines, left over by earlier conflicts of the 20th Century still exist and represent a real threat” Harriett Baldwin declared. 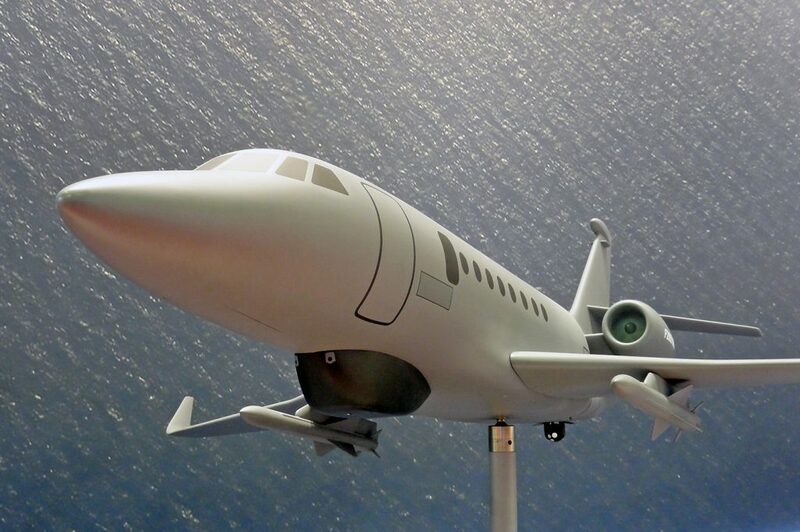 If no new aircraft was ostentiously exhibited during Euronaval 2016, for the exception of maritime variants of well-known long-range business jets from Gulfstream and Dassault, UAVs of all sorts made their turn on the show roster. Nowadays the focus is rightly placed on the operational and network-centered relation between a ship and an aerial platform thanks to the important steps made in the field of tactical data links. The fact that some 15 legacy Breguet-Dassault Atlantique (ATL2) will be provided with another long spell of life was well advertised during Euronaval. Presently shared between Flottilles 21F and 23F based in Lann-Bihoué, some twenty Atlantiques provide sterling services over the sea as well as over desertic war zones. Much of these exceptionnally rugged long-range patrol aircraft are scheduled to be modernised with new electronic equipments provided by Thales, Safran, Wescam among others. With no less than half a dozen new models of attack submarines today under series construction or development around the planet, the world of under water vessels is ebullient. Kockums with the A26 model, and DCNS with the Scorpène 2000, Barracuda and Shortfin Barracuda were on top of the list, trawling in their wake a large choice of weapons including long-range strike missiles, not to mention advanced propulsion and breathing systems and special forces packages. The greatest novelty for modern SSKs and SSNs is the family of advanced non-penetrating masts which allow for a total reorganisation of the CMS onboard a submarine, thus keeping the sail in the best c.g. zone in order to increase operational diving speed. 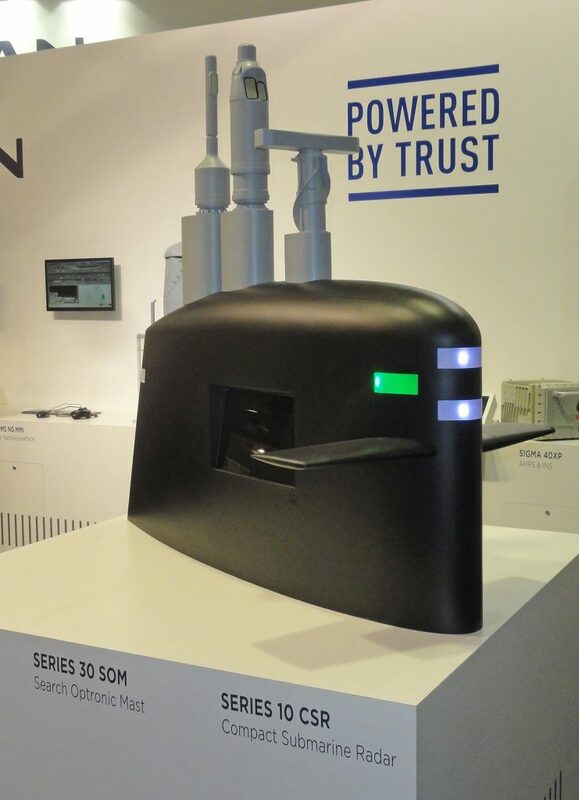 Safran Electronics & Defense, the European leader in optronic systems for surface vessels, has chalked up a record order volume for its Vigy Observer naval optronic system, now standing at 250 units. 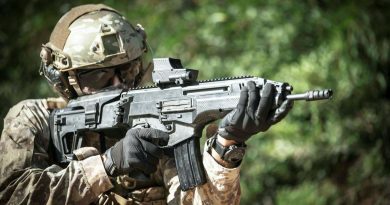 The company reached this milestone thanks to a recent export order from a navy that wants to use this technology on several dozen fast attack craft for commando forces. Ten navies worldwide have now ordered the Vigy Observer system. Developed and produced by Safran Electronics & Defense, Vigy Observer is a light, panoramic, multi-sensor shipboard optronic system. It is operated from a touch terminal and includes a cooled infrared imager, video channels and a laser rangefinder. Employing advanced stabilization techniques, it provides clear images day or night, including in rough seas and at speeds exceeding 50 knots. Capable of detecting targets out to a range of 16 km and more, Vigy Observer will provide a decisive advantage in the asymmetrical environments where fast attack craft are deployed: protection of ports and infrastructures, maritime police, anti-terrorist and anti-piracy combat. The system is well suited to government actions at sea, including coast guards, fast attack craft and ocean-going patrol boats. It provides invaluable assistance in missions designed to protect fishing and economic zones, navigation aid, and assistance to ships and crews at sea. Safran’s optronic systems are used on some of today’s most modern warships, including the Charles-de-Gaulle aircraft carrier, Mistral BPC amphibious assault ships, Canberra helicopter carriers and Hobart destroyers (Australia), European Aquitaine and Horizon class frigates and Baynunah corvettes (United Arab Emirates). Safran supplies key systems and equipment to over 600 surface ships from around the world. MBDA displayed for the first tie ever a real-life Simbad-RC turret. 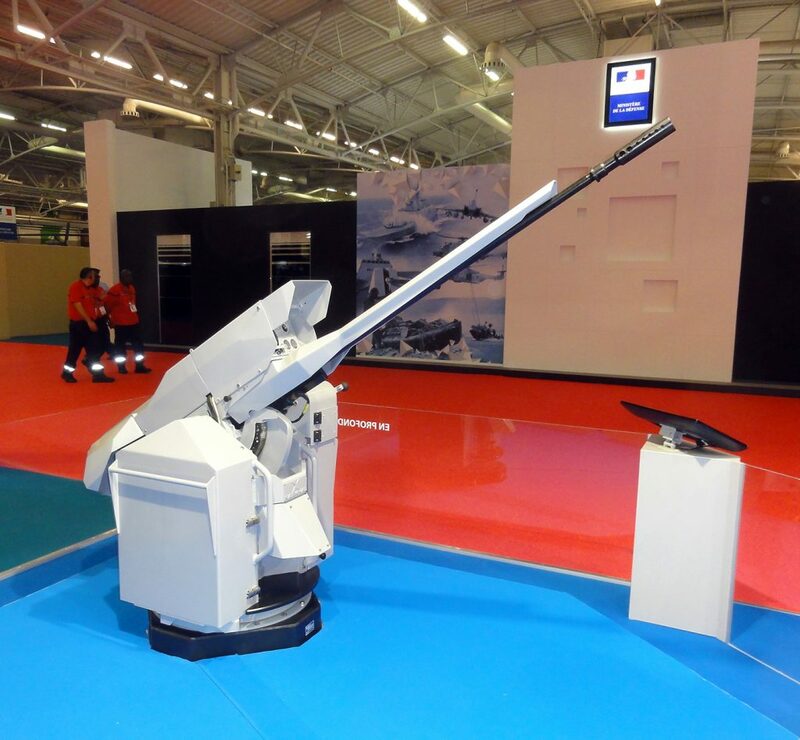 This brand new air defence system is a remotely controlled, lightweight twin-launcher equipped with two ready-to-fire Mistral missiles that has been designed essentially for the anti-air defence of Fast Patrol Boats and logistic support ships. It has been ordered by an unidentified Mid-Oriental customer. 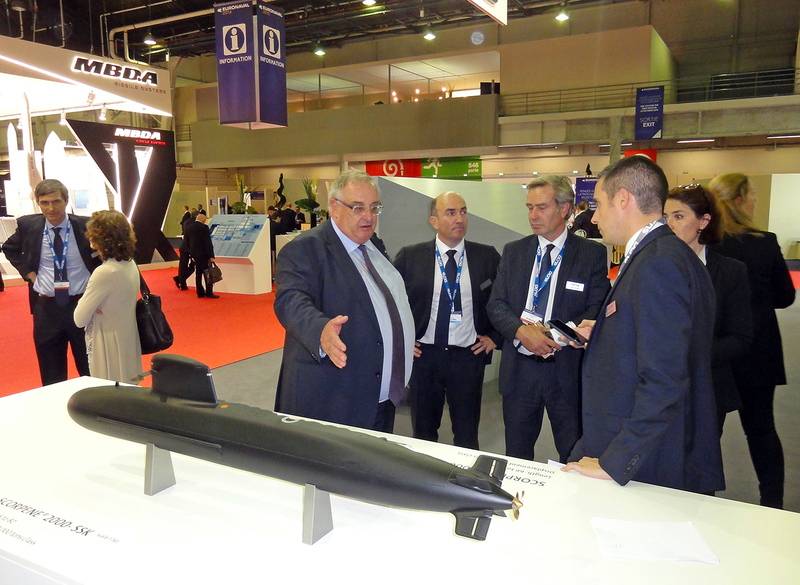 • the EURONAVAL Trophy for “Drones – robotics – autonomous systems” went to the company ECA for the development of its STERNA system. • the GICAN Trophy for “Digital – virtual and augmented reality simulation” was awarded to the company SBS Interactive for the VIS-On innovative solution software for enriched reality virtualisation. On Tuesday afternoon on October 18th, a high-level colloquium brought together industrialists, politicians and sailors to discuss a topical issue: “Together for safe and secure oceans”. Opened by the President of Euronaval, Patrick Boissier, this colloquium was concluded by Admiral Christophe Prazuck, the newly appointed Chief of Staff of the French Navy. 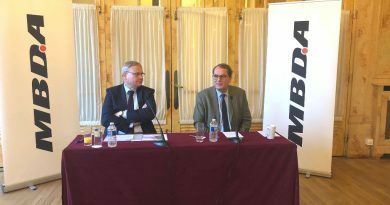 A three-day French-Australian seminar organised by the GICAN. Against the backdrop of the future order of Australian submarines, this 3-day seminar, held in the presence of Martin HAMILTON-SMITH, Minister of Defence for South Australia, was the opportunity to encourage exchange and build relations between industrial, state and academic players from France and Australia. 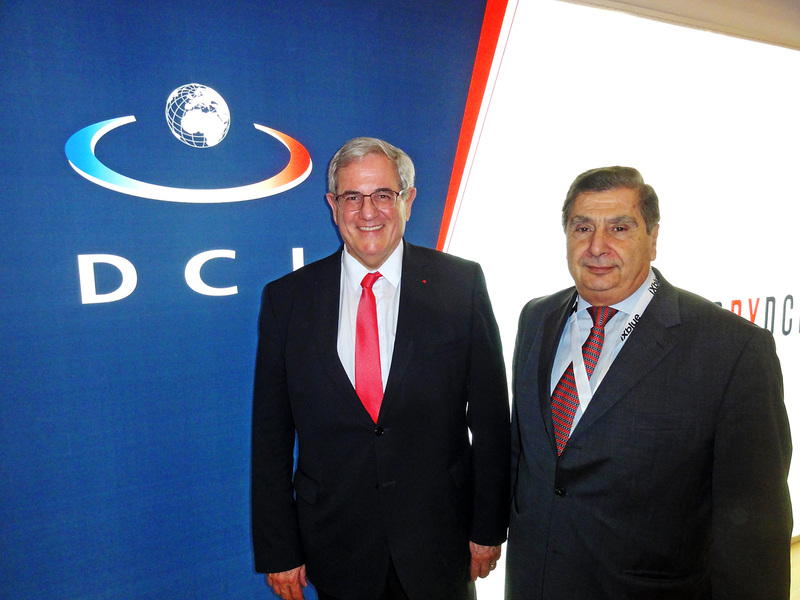 Concurrent to the seminar, close to 70 meetings between French and Australian industrialists were organised.